'- The 4th series of [FURAI MODEL] Bumble Bee is presented! Its size from bottom to top of the head is 5.1in. - ~5.7in height if helicopter engine is included. - Good articulation with over 50 movable joints; you are able to set any pose easily. 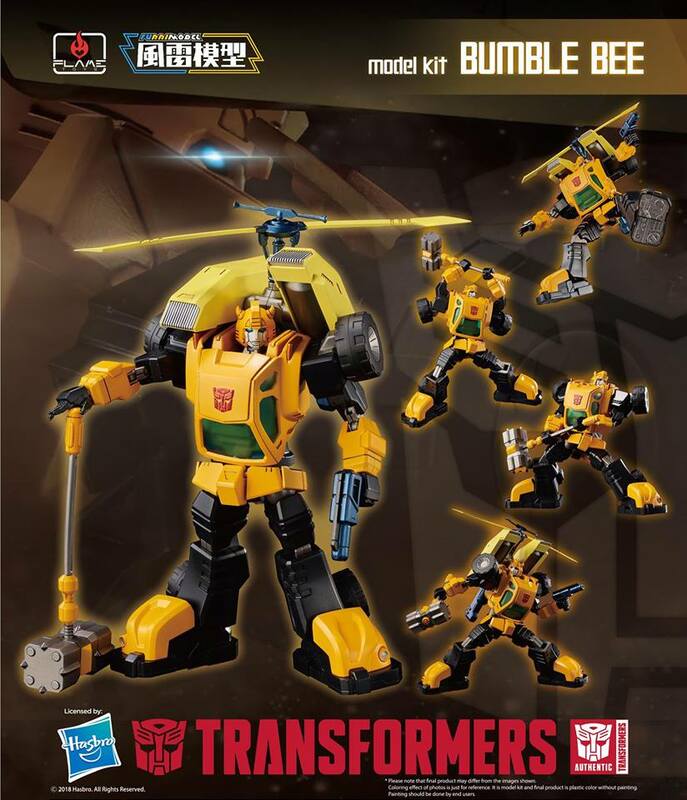 - The model kit is made of hard plastic ABS & PS and as a result is excellent for professional model kit users to make their own coloring style Bumble Bee.